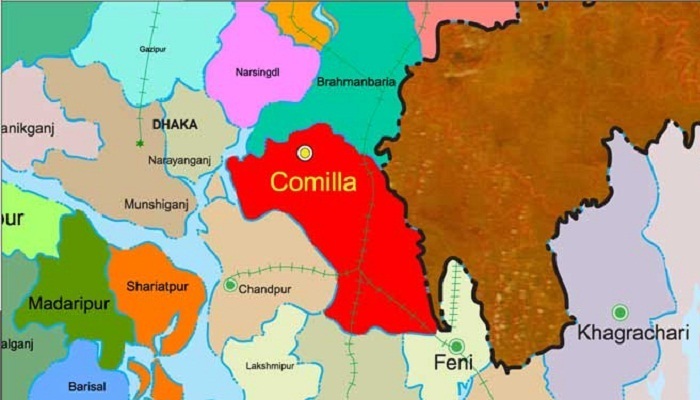 A young man was stabbed to death and three others were injured in an attack by some miscreants over a trifling matter at Chotna village in Debidwar upazila early Tuesday. The deceased was identified as Foyez, son of Joynal Abedin of Mohonpur village in the upazila. Local people said an altercation ensued among some young men including Foyez over a trifling matter near a Puja mandap in the village during Durga Puja on Monday night. At one stage of altercation, some young men stabbed Foyez indiscriminately, leaving him critically injured. Three others people-Mehedi, Goni Mia and Russel-- were injured in the attack as they tried to save Foyez. Foyez was rushed to Comilla Medical College Hospital where on-duty doctors referred him to Dhaka Medical College Hospital. Later he died on way to Dhaka early Tuesday, said Mizanur Rahman, officer-in-charge of Debidwar Police Station. An unidentified young man was arrested in this connection, said police.